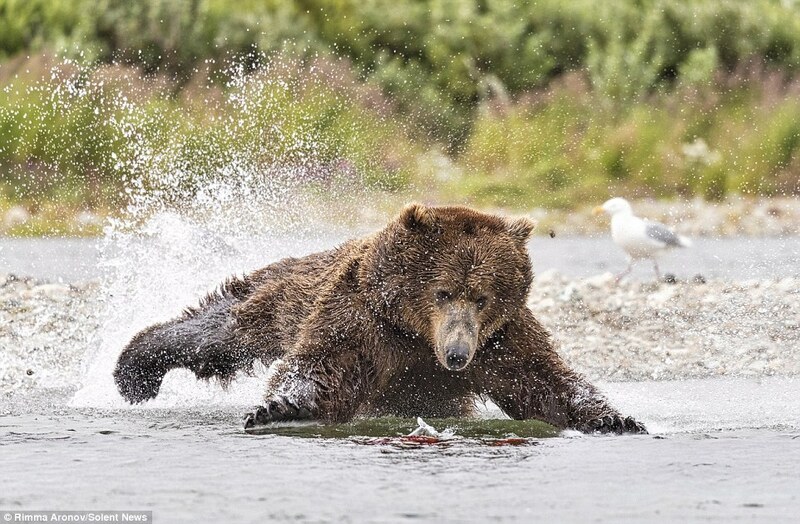 A grizzly bear appears to be levitating as he dramatically flies over the surface of a creek in pursuit of salmon. 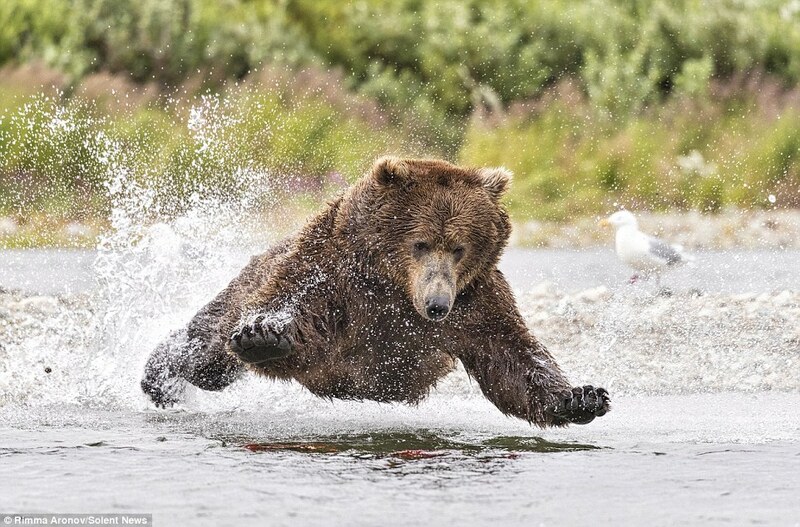 Using his own unique method of fishing, the 400lb (180kg) male bear first observed the swimming fish to select his prey. Once committed to an attack, he took a huge leap into the air and lifted all four paws, appearing to hover above the water. The boisterous brown bear then body-slammed the water, creating a huge splash and managing to scoop up a tasty salmon in his mouth. 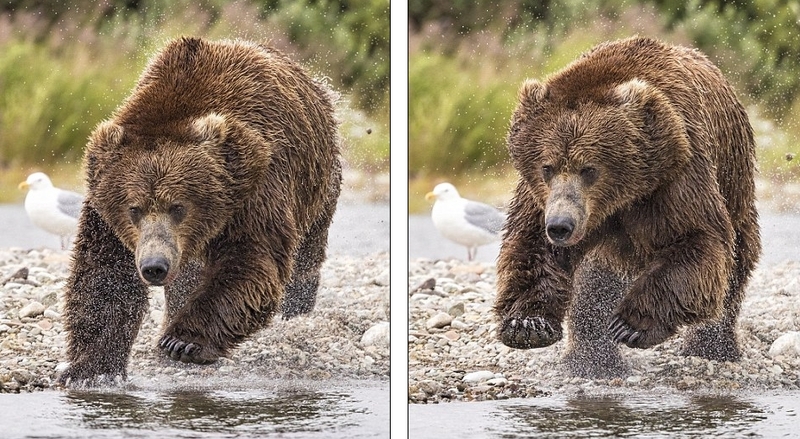 Radiologist Rimma Aronov, 47, captured these spectacular photographs at Moraine Creek, near Dillingham, Alaska. Aronov, who is originally from Russia but now lives in West Bloomfield, Michigan, said: 'I took a trip to Alaska and stayed in a lodge in Dillingham with a small group of photographers. 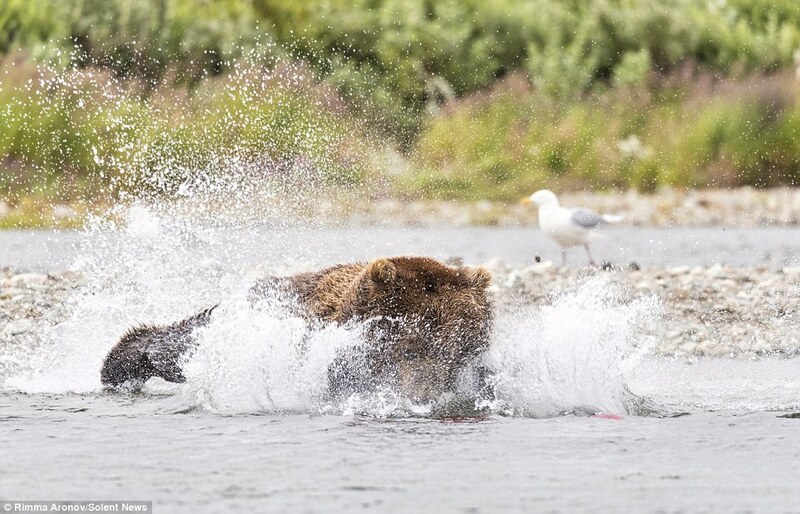 'Every day we would be flown on a plane across a lake and dropped off near a small creek frequented by brown bears searching for easy-to-catch salmon. 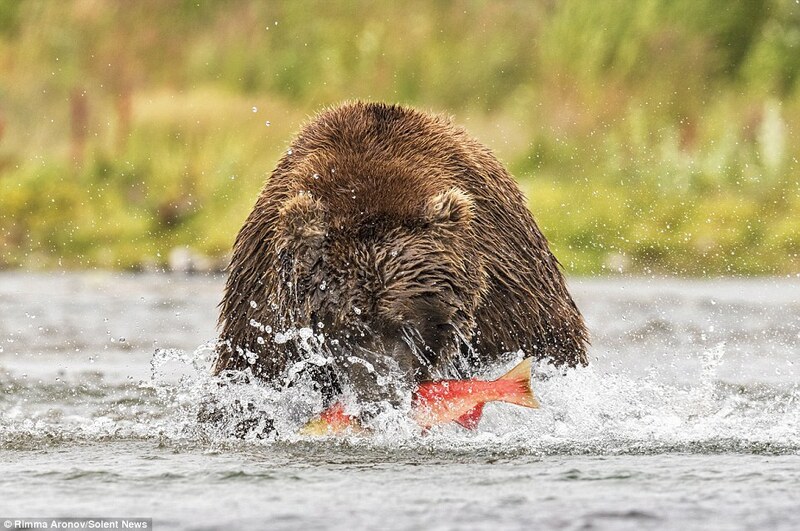 'After observing the bears for several days, it became apparent that the style of fishing varies greatly from one individual bear to another. 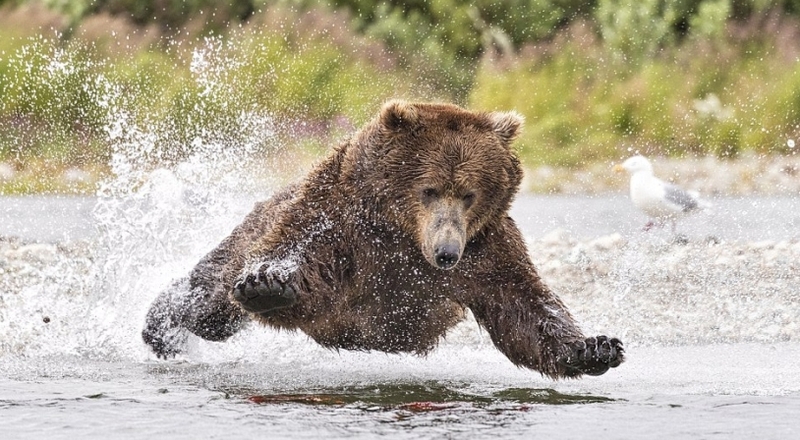 Responses to "Grizzly Bear Looks Like He's Levitating as He Takes A Huge Leap"